BIGGER Smoke - Our path to growth. — Big Smoke Brew Co. BIGGER Smoke - Our path to growth. For the last four years our little brewery has happily lived at the back of The Antelope, our pub in Surbiton. The majority of the beer that we have brewed has passed through the pumps of the pub and our brewers have worked behind the bar in various positions - the stories of both the pub and brewery are intertwined to such an extent that it is difficult to imagine one without the other. Brewing in the back of The Antelope has had a number of advantages for us over the years; no rent or utility bills, a fantastic customer right on our doorstep and a great way to get feedback (good and bad) from drinkers. Being at the back of the pub has given us a safety net, it has enabled us to make countless mistakes, learn from them and progress. It has allowed us the time to cobble together more equipment to make better beer. It has enabled our brewers, Nick, Danny and Dez to learn on the job and grow their knowledge base. It has brought the pub’s lovely customers along on our journey and hopefully shown them how much we’ve grown. However, it’s not without its drawbacks; space and logistics are a nightmare and it’s all too easy to fall into a relaxed and comfortable mindset, just cruising along producing the same old beers day in, day out, certain that they’ll sell and perhaps not pushing ourselves to be as creative as we could. For the last year or so we have been looking at ways in which we could grow, we began to contract brew two of our beers which has enabled us to push more of our beer through our own pubs, allowed us the time to experiment and has taught us some valuable lessons about working at greater volumes; but in our hearts we’ve always wanted to brew our own beer in our own brewery. So now it’s time for us to leave the nest. 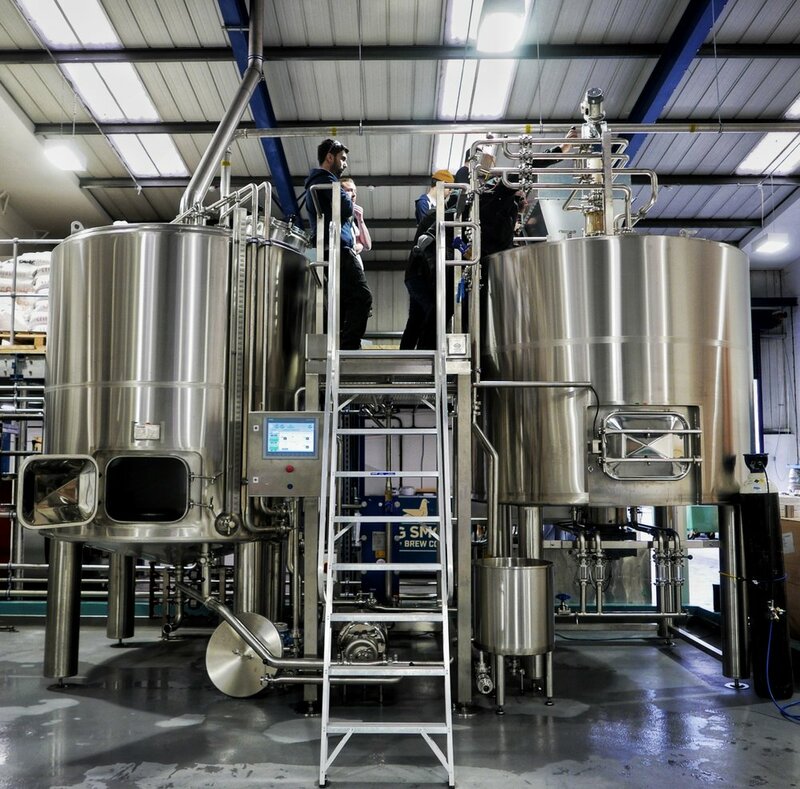 Next week we take delivery of a brand new 30 hectolitre brew kit from Gravity Systems, we have secured new premises in Esher (10 minutes down the road from our current site) and have a canning line arriving towards the end of the year. Our new kit will be capable of brewing 4 times the quantity of beer that we currently produce, or 6000 pints per brew. It will give us much more control of our process, help us to achieve greater consistency and, importantly, it will enable us to bring all of our production back in-house. The brewery will be built to our specification, it’s the brewery that we would have bought 4 years ago if we’d had the money or the knowledge. To achieve all of this we have taken investment from a private individual; someone who shares our values, is passionate about our brand and who is keen to join us on our journey and help take our beer to a broader audience. We will truly miss our spiritual home at The Antelope - Friday night beers in the garden of the pub, chatting to regulars and inquisitive visitors and being a part of the fabric that makes The Antelope such a special place to us. For now we are busy building the new brewery and will be winding down production at The Antelope in January when the new kit is commissioned*. We can’t wait to see what the future holds for our little hobby and we hope that you enjoy coming along for the ride! Rich, James, Nick, Danny, Sam, Dez, Alex, Dave and Medi. *Stay tuned for exciting plans for what was the brewery at the back of The Antelope! It’s not you, it’s me. Why we’re changing the recipe for Solaris.